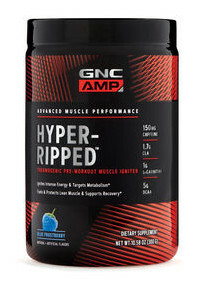 Serving Directions As a dietary supplement, mix 1-2 scoops with 8-16 oz. of cold water 30-45 minutes pre-workout or cardio. On non-training days, consume 1-2 scoops throughout the day for intense energy and metabolism support. For maximum results, consume 2 scoops daily. Do not consume close to bedtime. Brand Intellectual Property (IP) Statement Information Clarinol® CLA is a registered trademark of Stepan Lipid Nutrition. Carnipure™ is a trademark of Lonza Ltd, Switzerland. Morosil™ is a trademark of Bionap S.R.L. Precautions WARNING: For adult use only. Consult your physician prior to using this product if you are pregnant, nursing, taking medication, or have a medical condition. Discontinue use two weeks prior to surgery.